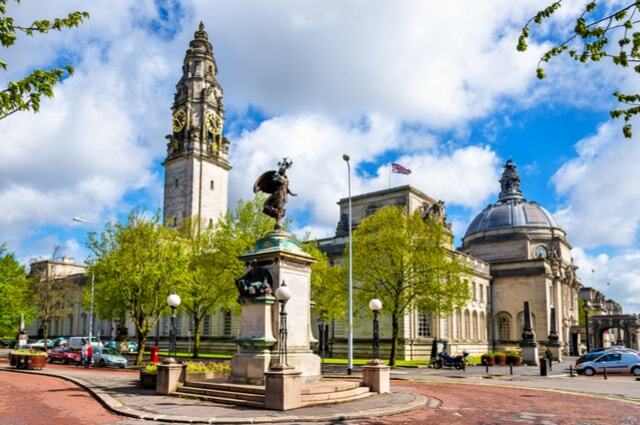 Cardiff is the capital city of Wales. In the recent years, the city has grown into a more commercialised and investment centre. From old structures of ancient Cardiff, construction of modern buildings has been on the rise. In fact, most of these new buildings have increased investments and in turn, creating more job opportunities. The number of new commercial buildings has increased in the city. Famous structures in Cardiff are now under renovation. Most of the existing buildings and property owners have opted for the refurbishment of their constructions as the demand for a more commercialised city grows. The completion of upcoming modern structures has led to the improvement of the existing buildings in a move to take advantage of a growing economy of the city. The rental charges in the city centre building have risen rapidly in the recent years. The rise of commercial buildings in Cardiff. 2 Kingsway is another commercial centre in the middle of the city. Welsh power has recently hired their offices in this building. They now sit on a 3650 sq ft Space. Other corporations with offices in the building include Ardstone capital (represented by Savills) that has a ten-year lease on the fourth house floor. The building is well secured and has grown as a significant commercial centre. The spacious building has several floors with passenger lifts accommodating the traffic into the building, secure parking area for the vehicles and even disabled aid facilities for accessing the structure. Alexander House is another building that is experiencing a higher number of tenants for office spaces than before. Currently, it is referred to as a progress Business Space. Under the management of Garrison Barclay Estates, the building will transform to shared offices and workstations where it will offer both short-term and long-term rentals. It is evident that new commercial constructions are emerging. For instance, plans are underway for the construction of a new building, Custom House Premier Inn Hotel. The building is expected to provide a more competitive scenario in the commercial sector. The Aviva Investors will give funding for the Custom House construction which will be a 20-storey building. The city is slowly converting to a more commercialised centre. As times goes by, the investments are also expected to continue rising, hence the need to have more commercial buildings. With this pace, most existing buildings will have to undergo a renovation process by roofing contractors in Cardiff such as ourselves, which will include roofing activities.